This is my personal Idaho. Enjoy the potatoes! Bernie supporter: All right. Who to vote for? The battle of wits has begun. It ends when you decide and we both vote, and find out who is right… and who is dead. Establishment Shill: But it’s so simple. All I have to do is divine from what I know of you: are you the sort of man who is Bernie or Bust? Now, a clever man would vote for Bernie no matter who the nominee is, because he would know that only a great fool would reach for what he was given. I am not a great fool, so I can clearly not choose the ballot in front of you. But you must have known I was not a great fool, you would have counted on it, so I can clearly not choose the ballot in front of me. Bernie supporter: You’ve made your decision then? Establishment Shill: Not remotely. Because Bernie spent time on a kibbutz in Israel, as everyone knows, and a kibbutz is part of a sinister ploy to establish culturo-bolshevism worldwide, and socialists are used to having people not trust them, as you are not trusted by me, so I can clearly not choose the ballot in front of you. Bernie supporter: Truly, you have a dizzying intellect. Establishment Shill: Wait till I get going! Now, where was I? Establishment Shill: Yes, Socialism. And you must have suspected I would have known the ideology’s origin, so I can clearly not choose the ballot in front of me. Bernie supporter: You’re just stalling now. Establishment Shill: You’d like to think that, wouldn’t you? You’ve out-polled Trump, which means you’re exceptionally strong, so you could possibly write-in Bernie, trusting on your strength to save you, so I can clearly not choose the ballot in front of you. But, you’ve also bested my other establishment candidates, which means you must have studied, and in studying you must have learned that it’s a two-party system, so you would have tried to infiltrate one of the major parties with socialism, so I can clearly not choose the ballot in front of me. Bernie supporter: You’re trying to trick me into giving away something. It won’t work. Establishment Shill: IT HAS WORKED! YOU’VE GIVEN EVERYTHING AWAY! I KNOW WHO TO VOTE FOR! Bernie supporter: Then make your choice. 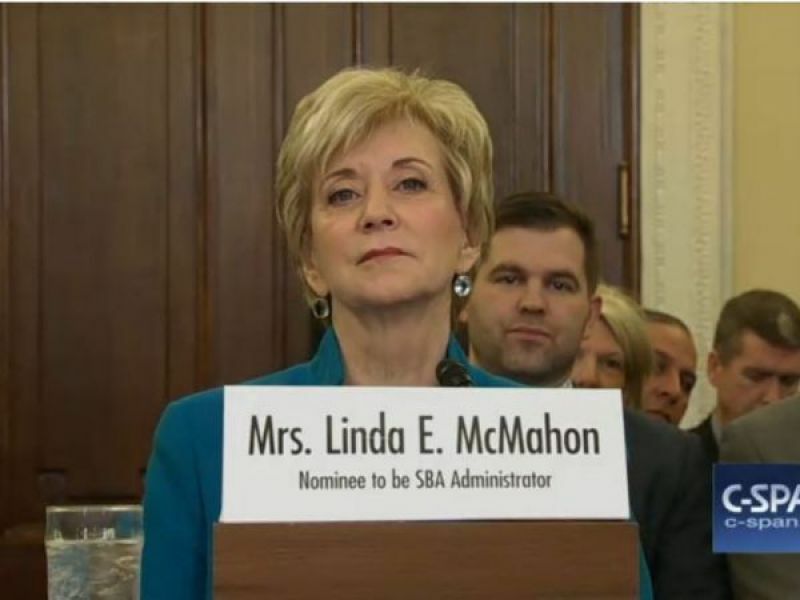 Establishment Shill: I will, and I choose… what in the world can that be? Bernie supporter: What? Where? I don’t see anything. Establishment Shill: Well, I- I could have sworn I saw something. But no matter. Bernie supporter: What’s so funny? Establishment Shill: I’ll tell you in a minute. First, let’s vote. Me from my ballot, and you from your provisional. Bernie supporter: You guessed wrong. Bernie supporter: I am someone who wants things to get better, and that is all you need to know. Workers: And to think, all that time it was your ballot that mattered. Bernie supporter: They all mattered. I spent the last few years building up a working people’s movement and mobilizing voter registration while the establishment blew money on consultants. From my early days as a Hulkamaniac to my discovery of lucha libre in the mid-90s to my college days as a forum-posting “smart mark,” pro wrestling is one of those things that’s never really left me. I never got into UFC or boxing, but darn it if I don’t love watching all the pageantry and pantomime play out inside the squared circle. Over my now two-decades plus of fandom, I’ve started to learn some of the lingo and phrases used by those in the industry and even began to use them in my daily life. Wrestling language is its own sort of special code that developed out of the carnival speak of the early 20th century, and while I’d gladly love to go on talking about bumps, spots, works, shoots, juice, gas, marks and smarks, there’s one word in particular I’d like to talk about today: kayfabe. Kayfabe, like a lot of the old carny lingo, was a way to say something without really saying it by means of mixing up syllables and sounds. 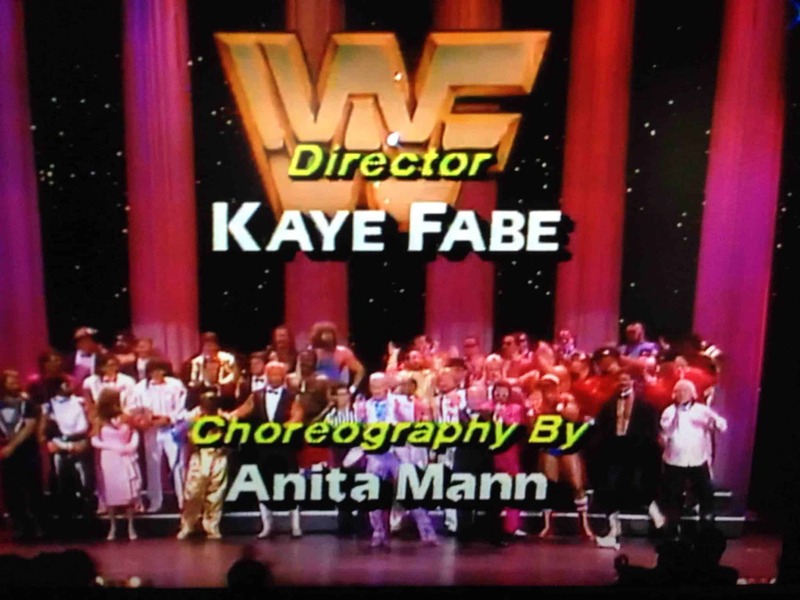 Originally, kayfabe was a scrambling of the word “fake” when it came to selling a show to the impressionable “marks” in the crowd, but over time the term of kayfabe morphed into a juggernaut and sort of overarching code of law for the business. To keep kayfabe, you see, is to not give the game away. It’s to not lift the curtain. It is to not let the audience know that what they are seeing, while not straight up “fake,” was certainly a predetermined fight. So kayfabe, to blend the world of wrestling with the world of acting, is staying “in character.” Some wrestlers have gone to ridiculous lengths to keep kayfabe, and some have done ridiculously stupid things to break it. Hacksaw Jim Duggan and The Iron Shiek were once busted for having a frankly comical amount of drugs in their car, but what was considered a greater injustice to the wrestling community is that they had allowed themselves, kayfabe enemies, to be seen together in public. In reality, they are just workers for a company, but in kayfabe? That car shouldn’t have gotten on the road without someone’s head getting imprinted into the hood first. Kayfabe has caused more than one issue with a skeptical press, as well. Any wrestling fan worth his salt has seen the famous grainy video of David Schultz slapping reporter John Stossel upside the head to prove it was “real,” which lead to a battery accusation and lawsuit. The so-called Immortal Hulk Hogan got into a bit of hot water when he put Richard Belzer into a front chinlock and knocked Belzer out, causing the TV host to crack his head on the floor as he collapsed, resulting in another settlement. Wrestlers were told that, in order to keep their jobs and in order to keep the business alive, they had to be the tough guys they pretended to be both inside of the ring and out. Keeping kayfabe has often proved dangerous for the wrestlers themselves, as well. In 1974, a plane crash that paralyzed one wrestler and killed the pilot left Tim Woods with a broken back. Unfortunately, he had been sharing the plane with a supposed sworn enemy, so Woods gave a false name at the hospital and went back to wrestling only two weeks later, with a broken back, just to prove he hadn’t been on the same plane as the bad guy. In 1995, a rumor was going around that “Macho Man” Randy Savage had injured his elbow and wouldn’t be wrestling, which lead to the “good guys” loudly proclaiming that Savage was not injured and would be wrestling tonight… which he did. With an injured elbow. And he injured it even more. But hey, you gotta keep kayfabe. And, of course, the most infamous moment of breaking kayfabe was Owen Hart’s tragic death in the ring during a 1999 pay-per-view stunt gone horribly wrong. Trusted and beloved commentator Jim Ross told the audience at home that Hart had died… but promoter Vince McMahon went on with the show. After all if the show had been cancelled, he would have been out a lot of money. It’s best not to risk causing that problem, keep kayfabe, and insist that the show must go on above all. Wrestling is littered with bizarre, shocking and sleazy stories like these all over its long, dangerous and unregulated history, and I think it’s important to make note of that because, and I do not say this lightly, we are living in a world where everything has become pro wrestling. Pro wrestling is a highly choreographed piece of performance art where two or more people make a concerted effort to go through the motions of an event, in this case a gladiatorial grudge match, while in reality they are just two workers, possibly even friends, doing their best to impress an audience, make some money, and gain a little validation. If that doesn’t sound like the life of your average worker under late stage psychocapitalism, I don’t know what is. We go to our jobs, and we go through the motions, but so many of us are just “working” to get paid, or do just enough work to get insurance. We’re just putting on a show because, hey, that’s what we have to do to survive. We all know it’s fake, and to some extent our bosses and masters in the “audience” know it’s fake, but what they are the most interested in, what they came here tonight to see, is the characters and the performance of it all. We all cultivate a character, and we try to sell that character, and we see which ones “get over.” We have “faces” who help us and “heels” who skirt the rules, but at the end of the day so much of it is just a show to we can eat that night. And, on top of it all is the current World Heavyweight Champion of our Pro Wrestling Reality, a larger than life spectacle of a man with all of his aspects dialed up to eleven, who has found the best way to work the crowd, even if his punches don’t always look real. This current President is a pro wrestling star with a character that has been cultivated for decades. Much like the heyday of Hulk Hogan, we have an orange, balding man at the top of the heap who is what we might call in the business a “sloppy worker,” but that never stopped Hulk from selling like gangbusters because he had “it” and “it” is what gets you over, whether it be the wild and wacky world of pro wrestling, or our current political climate, which has become all too similar to any little Hulkamaniac-turned-30-year-old smart mark. Pro wrestling now runs our country, and it refuses to break kayfabe… and that is bad news for all of the rest of us. And, if you’re wondering, Trump did NOT “sell” that move well at all. Wrestling, as an almost unregulated industry, has a lot in common with the completely deranged idea of capitalism gone beserk. In wrestling, to show the audience you are indeed hurting from whatever smackdown your opponent has placed on you, you do what is called “selling.” In wrestling, a “worker” “sells” in order to “do the job” when his back hits the mat for a 3 count. What started as an offshoot to a notoriously crooked carnival industry is now a billion-dollar, publicly traded psychocapitalist monstrosity where the workers don’t get health coverage, take repeated blows to the body that are often exacerbated by extreme stunts gone wrong, and not all that surprisingly die very young from overwork, drug abuse, and crippling injuries. Perhaps the reason I like wrestling now isn’t the rush I got as a five-year-old watching Hogan triumph over bad guys. Maybe it’s no longer the awe and wonder I feel watching Rey Mysterio perform a springboard, leaping hurricanrana onto his opponent. Maybe now, as I see capitalism as less and less viable in a society that looks to be on borrowed time, I can appreciate the garish, grotesque clown show of overexagerrated capitalism pro wrestling has always been. Now, ironically, an industry usually steered by unscrupulous billionaires is one of the best stealth parodies of the system we could ever have hoped for.